My husband loves butter tarts. I make this for him each year at Christmas as part of my present to him. These butter tarts freeze really well. My husband usually takes out a couple each day to eat for dessert during the Christmas season. 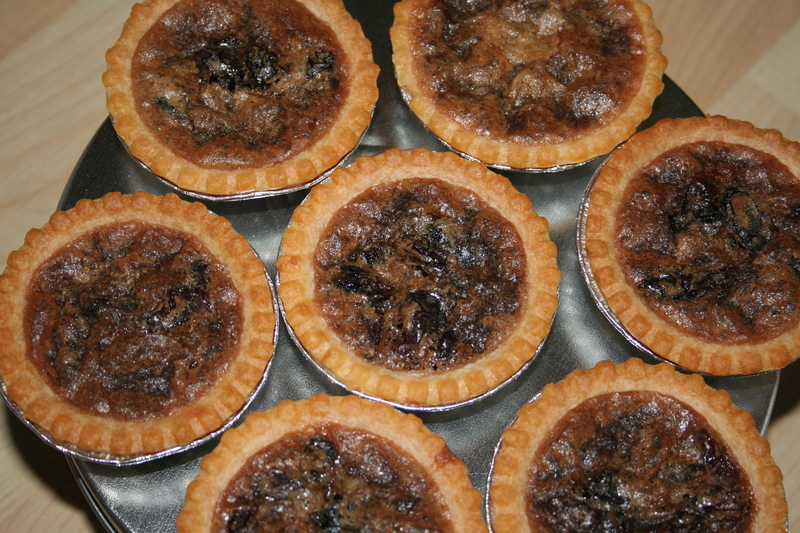 By using tart shells from the store, preparation time for the butter tarts is less than 10 minutes. I like to fill my tarts almost to the brim, so that you have a really full tart. I can make 17 full tarts using the measurements below. 2. Mix all the ingredients except for the butter and eggs. 3. Melt butter and add it to the other ingredients. 4. Beat the two eggs. Add to the rest of the ingredients. 5. Mix well with a fork. 6. Spoon into the tart shells. Filling each tart shell almost to the brim. 7. Bake for 10 minutes at 400 F. Reduce heat to 350 and bake for 18 -20 minutes, until tarts are golden brown. Seetha, I love butter tarts too! I don’t think I should make these as they will end up on my hips: But I love how simple this recipe is. Enjoy the holiday time! Thanks Oksana! I hope you have a great holiday as well.